*YEAR: 2003. 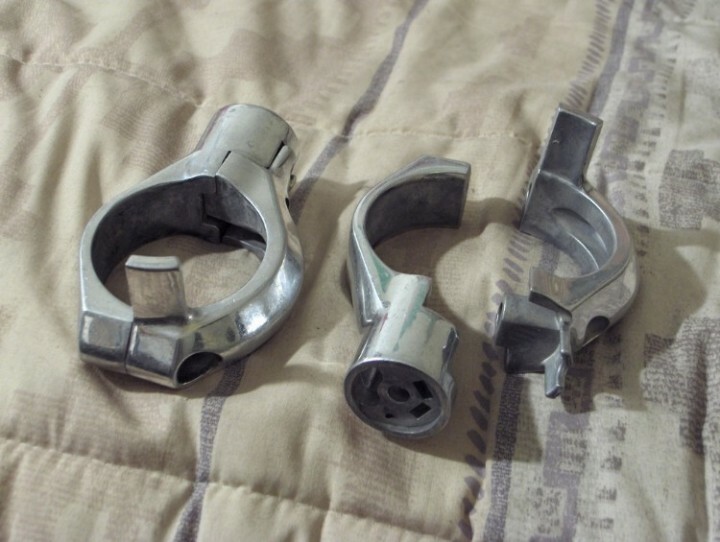 Buyer is responsible for making sure these brackets will fit the motorcycle they are being purchase for before the purchase. *MEASURES: Approx. 2 1/4" dia. hole, approx. 4 3/16" long. These brackets are probably metric but the measurements are given in inches. *CONDITION: Used, the finish has some minor dings and knicks. Some soil and fingerprints. There are no screws that come with the brackets. Screw holes were looked at and do not appear to be stripped. No cracks or breaks noticed. No bolts come with these parts. 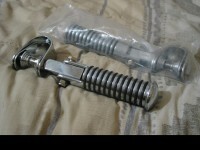 *Buyer is responsible for making sure this part will fit the motorcycle it is going to be put on before the purchase. *Buyer is responsible for positively identifying the part model before purchase. *Buyer is responsible for any maintenance or repairs needed.